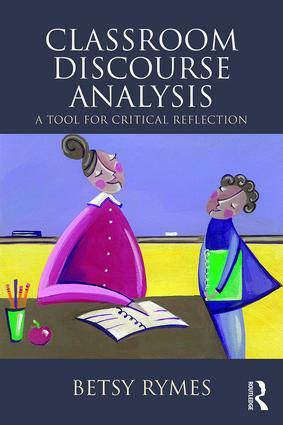 This second edition of Classroom Discourse Analysis continues to make techniques widely used in the field of discourse analysis accessible to a broad audience and illustrates their practical application in the study of classroom talk, ideal for upper-level undergraduate and graduate students in discourse analysis, applied linguistics, and anthropology and education. Grounded in a unique tripartite "dimensional approach," individual chapters investigate interactional resources that model forms of discourse analysis teachers may practice in their own classrooms while other chapters provide students with a thorough understanding of how to actually collect and analyse data. The presence of a number of pedagogical features, including activities and exercises and a comprehensive glossary help to enhance students‘ understanding of these key tools in classroom discourse analysis research. Betsy Rymes is Associate Professor of Educational Linguistics and Director of the Intercultural Communication program at the University of Pennsylvania’s Graduate School of Education. She is the author of Conversational Borderlands and Communicating Beyond Language. Her current research investigates students’ communicative repertoires and their function in and out of educational contexts.